George Sears Greene was born May 6, 1801 in Warwick, R.I. to Caleb Greene & Sarah Robinson Greene. He graduated from West Point in 1823, and served as an artillery officer through 1836. For the next twenty-five years he was in private practice as a civil engineer, with his largest project being the Croton Aqueduct in New York. He, along with twelve others, founded the American Society of Civil Engineers, serving as a Director & President. 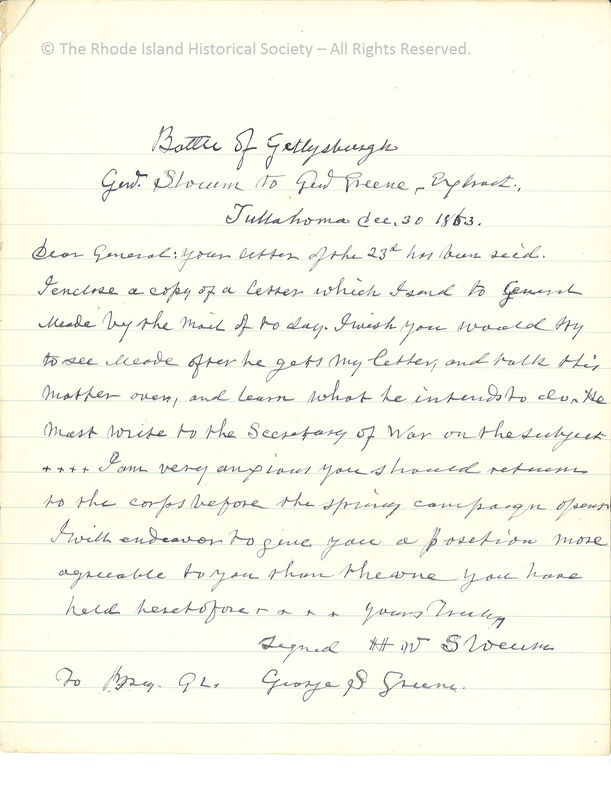 When the Civil War began he volunteered as colonel of the 60th New York Infantry in January of 1862, and then was appointed Brigadier General that April. He played major roles in the battles of Antietam, Chancellorsville and Gettysburg, and was severely wounded in September of 1863 at the Battle of Wauhatchie. He returned to action, was again wounded, and was awarded the brevet rank of Major General dating to the conclusion of his active service in March of 1865. 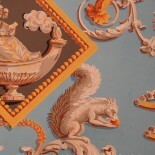 After that point, he resumed his civil engineering work in New York, and became an active genealogist and antiquarian. The authoritative genealogy, Greenes of Rhode Island…, was published from his notes in 1903. Elizabeth died on December 26, 1832. His wife and all three children died within an eight month period while he was stationed at Fort Sullivan in Maine. 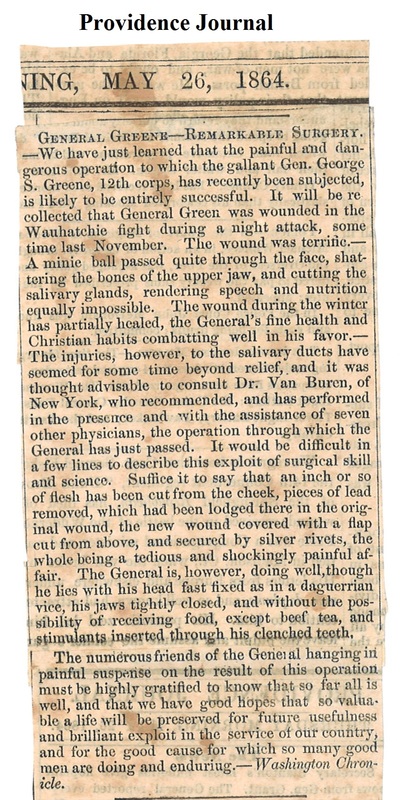 Gen. Greene worked through his grief by focusing on his studies of medicine and law while continuing his engineering practice. He began working as an assistant engineer on the railroad from Andover to Wilmington in Massachusetts, the humble beginning of what is now the great Boston & Maine Railroad system. George Sears Greene Jr. (November 26, 1837 – 1922), m. Susan Moody Dana (July 7, 1838 – June 18, 1881). They had four children. Lieut. Samuel Dana Greene (February 11, 1840 – December 11, 1884), m. 1st Mary Willis Dearth (July 18, 1839 – September 2, 1874), they had three children. He m. 2nd Mary Abby Babbitt (July 28, 1839 – April 5, 1926). Major Charles Thruston Greene (March 5, 1842 – 23 Aug 1923), m. 1st Abby Ann Hull (September 15, 1841 – February 16, 1878). They had five children. He m. 2nd Addie Maud Supple (September 27, 1860 – October 4, 1921). Charles & Addie had eleven children. Anna Mary Greene (February 19, 1845 – ), m. Lieut. Murray Simpson Day, U.S.N. (April 12, 1845 – December 27, 1878). They had two children who died in infancy. Major-General Francis Vinton Greene (June 27, 1850 – 15 May 1921), m. Belle Eugennie Chavallie (December 31, 1853 – 1934). They had six children. Martha died on December 15, 1883. George continued on, being a father, grandfather, great-grandfather & family historian. He died at the age of 98 on January 28, 1899 having lived for almost the entirety of the 1800’s. 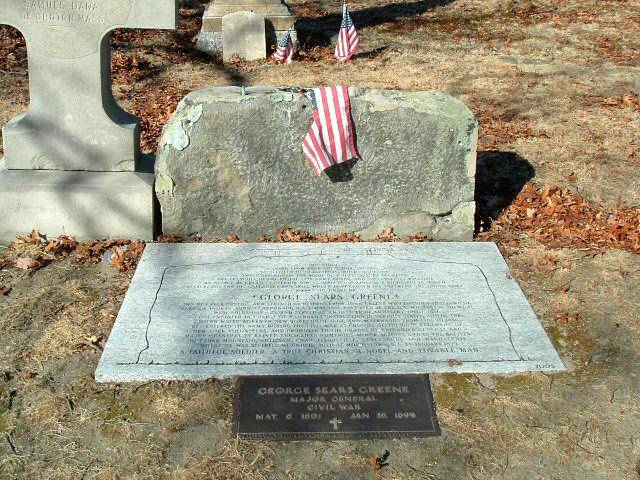 His grave in the Major General George Sears Greene Memorial Lot/Rhode Island Historic Cemetery Warwick #23 has a piece of stone from Culp’s Hill & a plaque celebrating his achievement. Not many people are as familiar with him as they are with other Civil War leaders…but they should be. General Greene not showing this confidence of safety ordered his regiments to keep their shoes on & to lay on their arms. He laid down with his horse saddled at his tent & was on his horse & with his men on the picket fence which seemed about midnight, the regiments quickly responded to his call & were quickly led to the direction of the picket line & not the enemy outside of the woods in which they were encamped – both parties were laying down & firing at the flashes of the shots the only sign they could get of each other. Major-General George Sears Greene…his song should be sung. 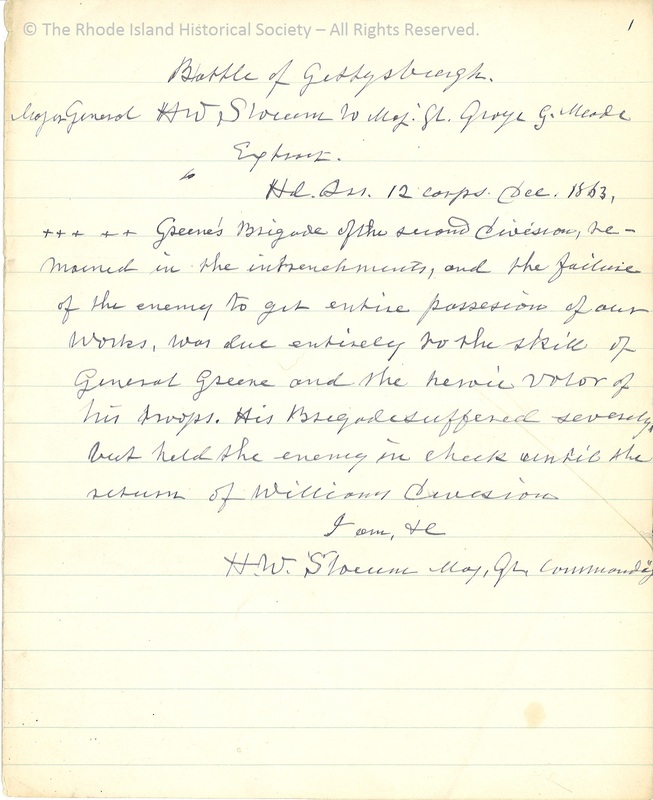 This entry was posted on 3 May 2018 by rihswebsite in Collection Notes and tagged Civil War, genealogy, Greene, military history.